← Paying Homage to Samuel Beckett – via Golf! I’ve just sent off another play to my publisher Silvermoon. 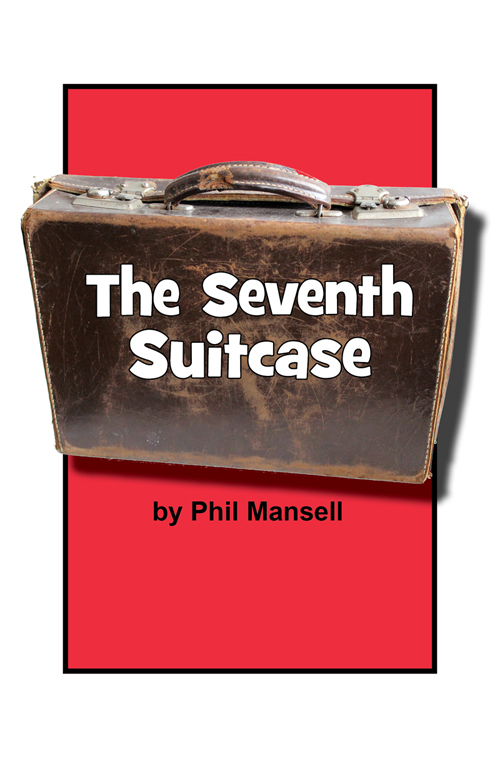 ‘The Seventh Suitcase’ is a play I’ve been working on for some time. At last, I’m happy with it – and hope to direct it in the Studio at the Dolman Theatre. The play, which for some reason I’ve always imagined takes place in Ireland, revolves around Tim an unemployed fork lift truck driver who arrives at a seedy hovel to deliver a suitcase to an old man who’s asleep in a bed in the corner. As he waits for the old man to wake up so he can give him the suitcase and claim his reward, he encounters two women. One offers him tea and sympathy, the other whisky and words of wisdom. They all want to know what’s inside the suitcase but only the sleeping old man has the key. As the play unfolds, one thing becomes clear – this is not the first time a battered old suitcase has been delivered here. And it won’t be the last. To date, Silvermoon have published four of my plays which are available either from their websire or from Amazon. This entry was posted in Uncategorized and tagged According To Claudia, amateur theatre, Amazon, amdram, Award-winner, Bunkered by Phil Mansell, Dolman Theatre, new writing, Phil Mansell, Poor Yorick by Phil Mansell, script, Silvermoon Publishing, stage play. Bookmark the permalink.